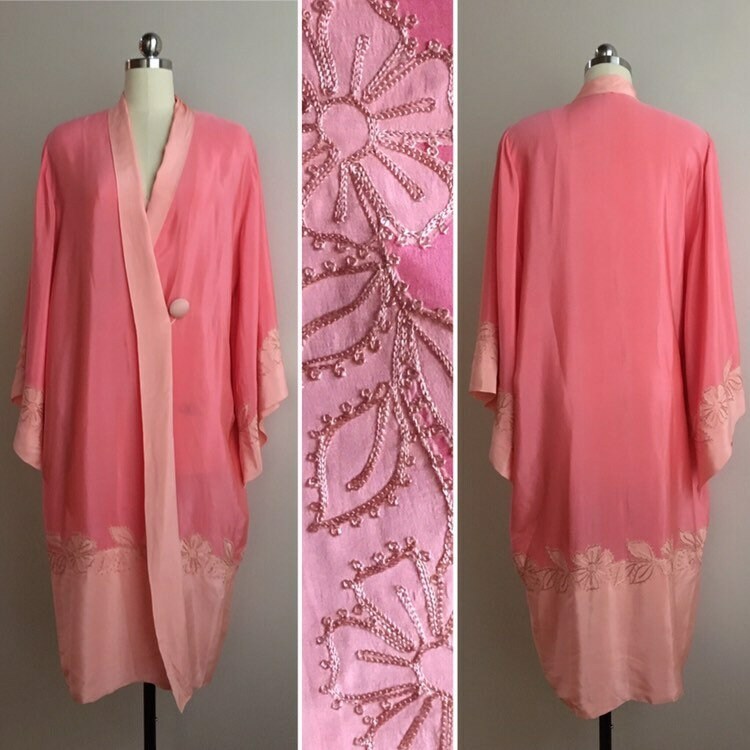 True vintage 1920s peach & pink two-tone silk kimono robe with floral chain=stitched embroidery design. 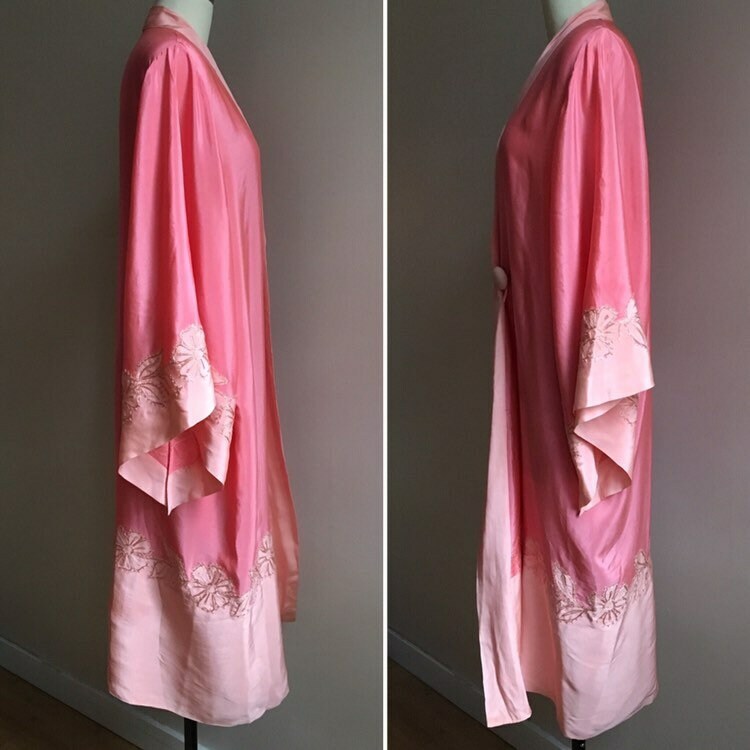 Great vintage condition; very light wear from age and use. One very small hole on back of neck near collar (pictured). 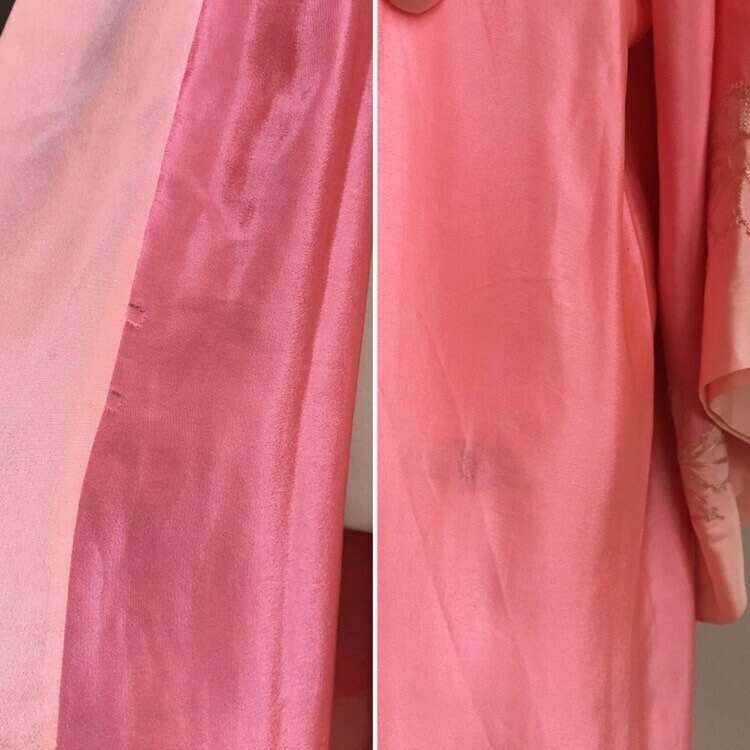 Evidence of a removed button / secondary closure at front, below large button and loop (see photos). No other visible flaws to note; no other holes, rips, tears, stains, markings, areas of discoloration, fading, open seams, damage to embroidery or other damage / issues. 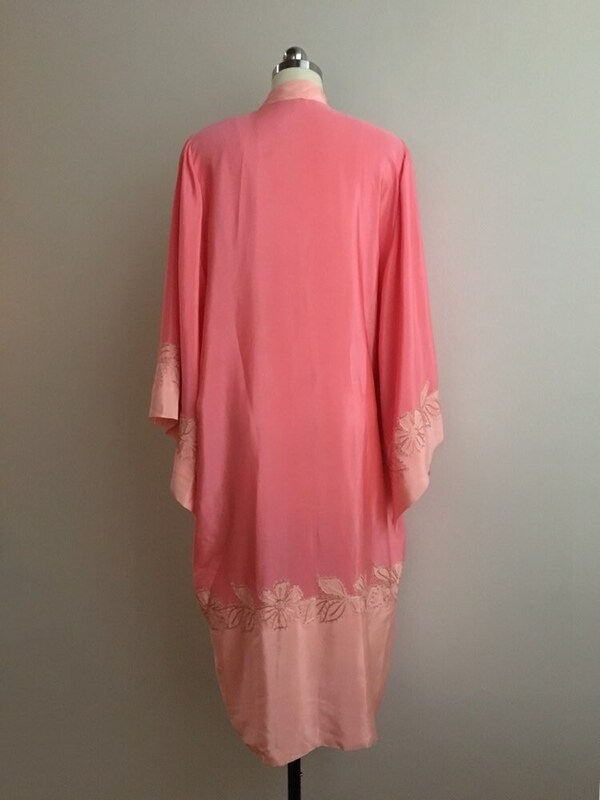 Robe is pink with wide panels of peach on collar, ends of sleeves and along bottom edge. 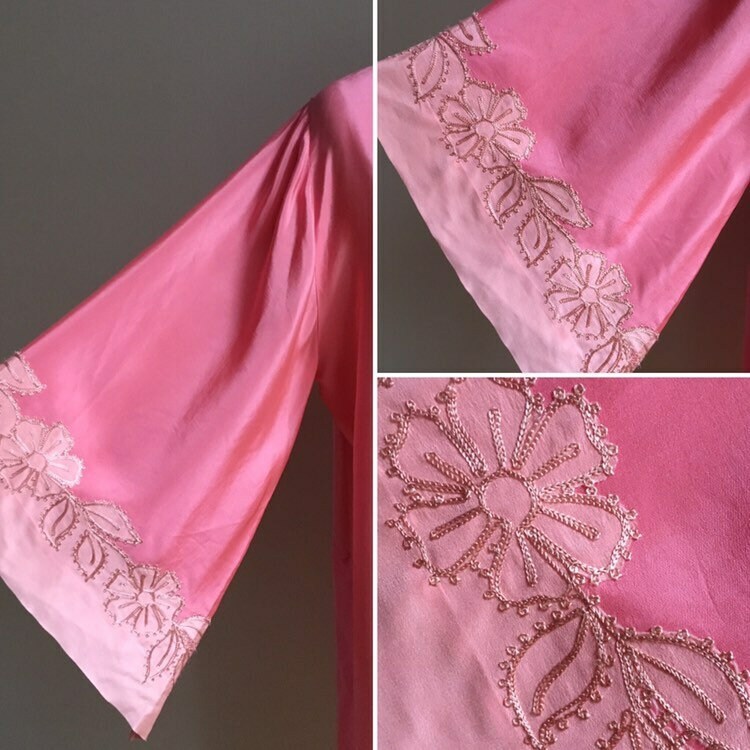 GORGEOUS chain-stitched floral embroidery along connecting seams on sleeves and along bottom of robe. Embroidery is super clean and crisp with no visible issues, gaps, or loose strands. 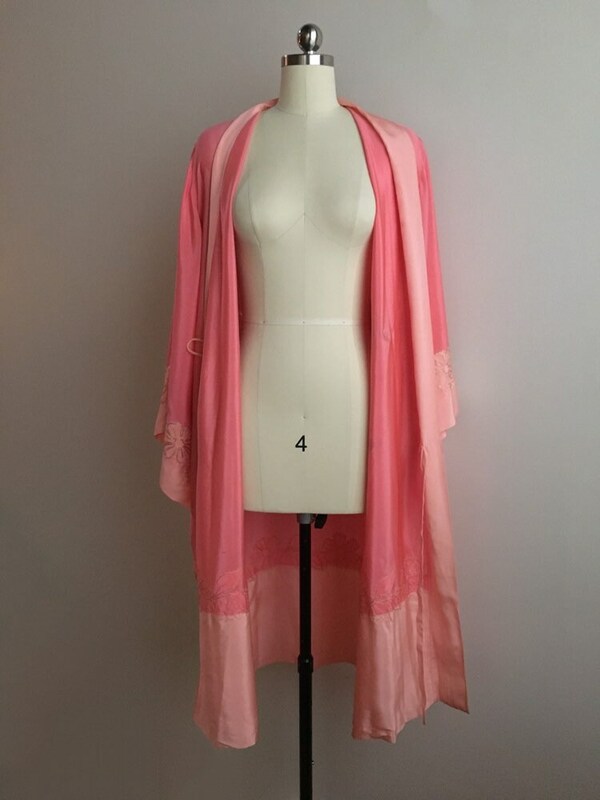 Large round button on left side of robe with loop on right side to close robe. 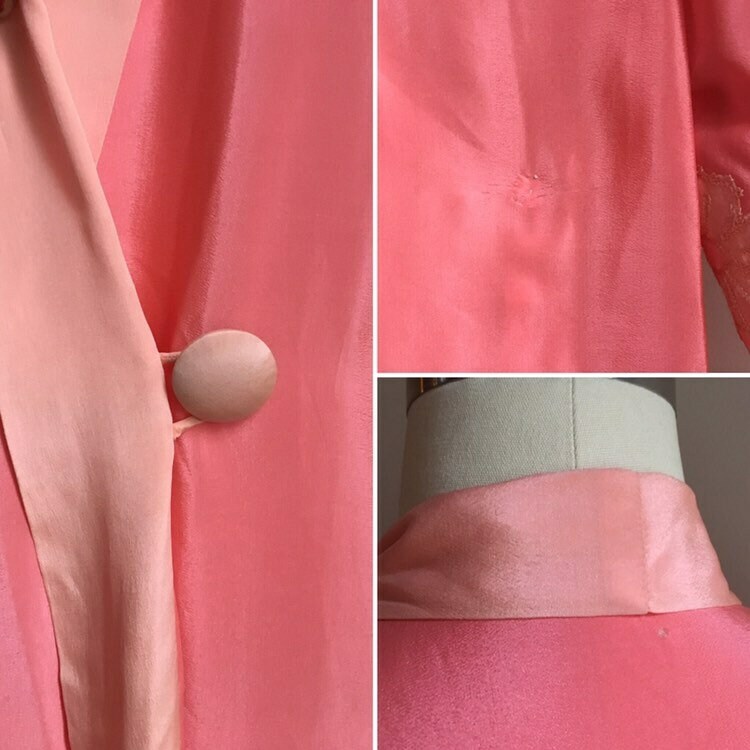 Robe has small two straps (one on each side of inside) to secure & close from coming open and to provide a more fitted look (see photos). 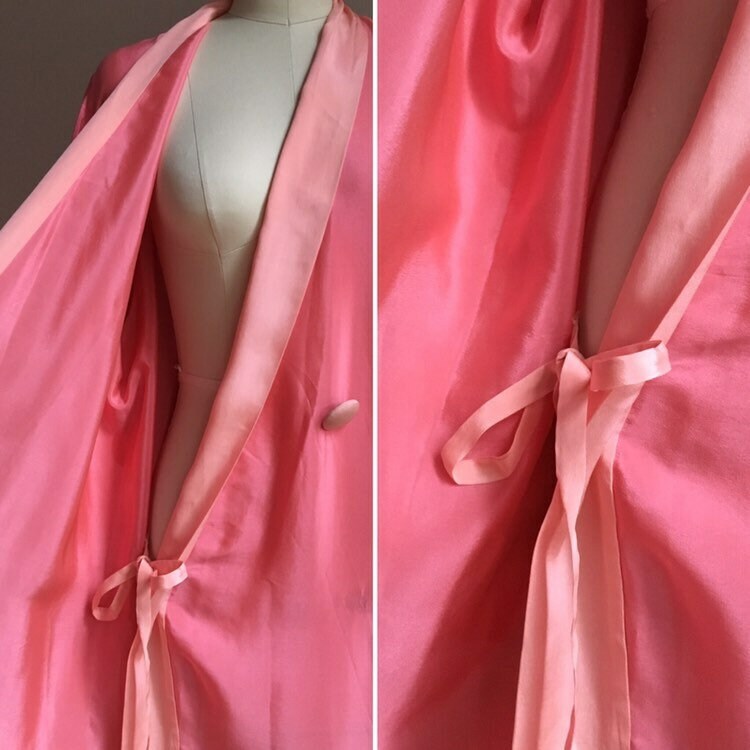 Straps are hand-sewn to robe (see photo of exposed stitching on outside). 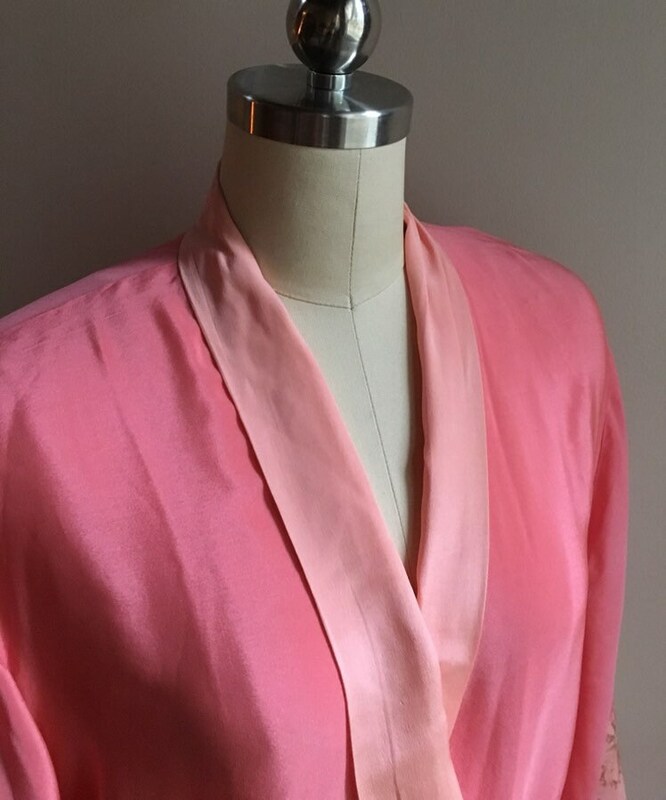 Robe can be worn loose and open by almost any size; see measurements for sizing when robe is closed / tied. 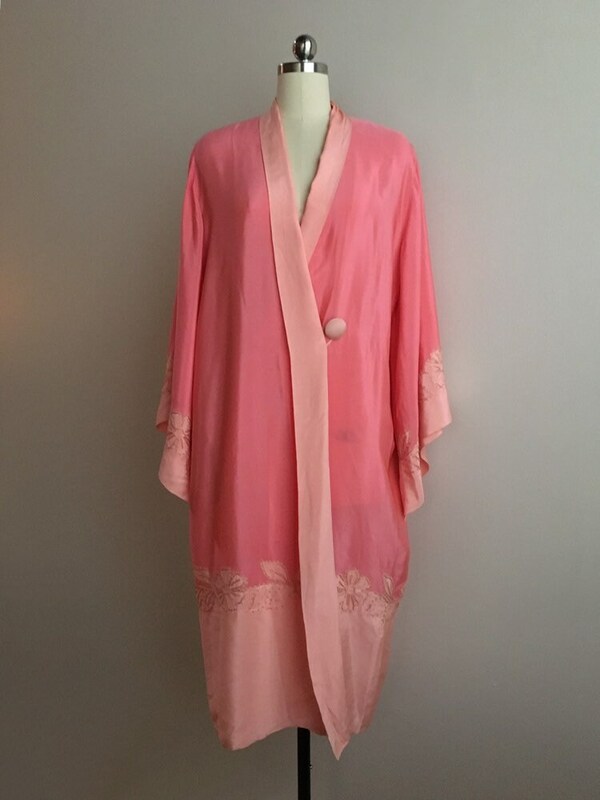 Robe is NOT pinned to fit mannequin. Bust (when closed): up to 42"
Oh my goodness, this is impeccably beautiful! !